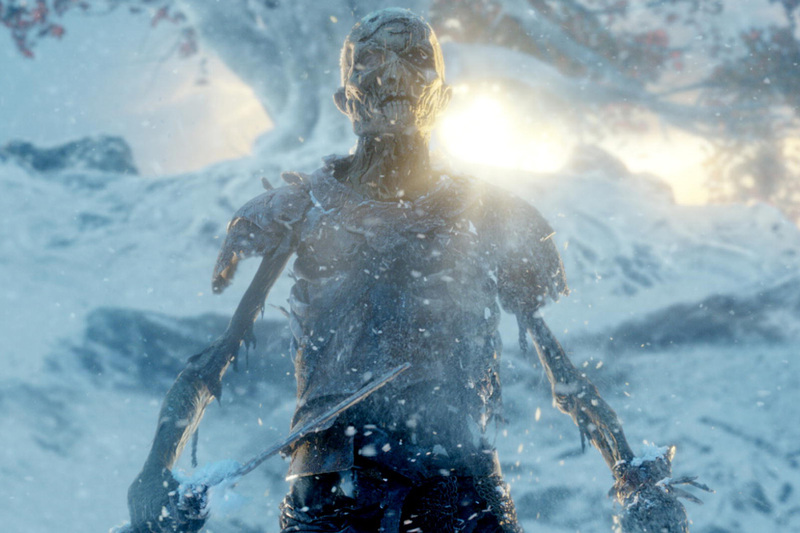 Although the Others were the mysterious antagonists on the great television show LOST, this post will be talking about the White Walkers on HBO’s Game of Thrones. It’s probably best if you’re up to date on that television show if you want to read this post and not be spoiled. Meet Up at the Glacier, the Night’s King Said. As if there’s Only One! The winter solstice was a few days ago, ushering in the calendar’s recognition of the winter season (everyone who dealt with snow in November knows that winter’s already been here.) And we’re at that time (depending on your cultural affiliation) that children are being told that way up in the arctic, an old wizened figure is directing his fey minions in preparation for a magical trip away from the pole and into the warmer southern lands. But in the lands of Westeros, depending on cultural affiliation (mostly in the kingdom of the North, between the swampy Neck and the icy Wall) children are being reminded that way up north, beyond the castles of the Night’s Watch, ancient wizened figures might be directing their undead minions in preparation for a darkly magical trip, away from the Lands of Always Winter and into the warmer southern lands. There probably isn’t any mention of sugar plums or stockings filled with toys. But, where are those icy legions of the Others? (I prefer the book term for them, instead of the television show’s primary term White Walkers. I have my reasons.) Ever since some Wildlings and Night’s Watch rangers were slaughtered (and reanimated) in the show’s very first episode, viewers have been waiting and waiting. What’s taking the Others so long? Did Blue-Eye Iceface Junior forget the only map back in Otherton? Are they reading their compass wrong and are stuck at the north pole, erroneously thinking any step they take takes them away from the south? Eventually someone’s going to have to ask directions. This frustration about the lack of an undead invading horde pretty much started during Season Three, because Season Two ended with a ghastly army on the march. The complaint is this: the White Walkers were heading to attack the Wall! How come we haven’t seen that yet? That’s all Jacked Up! Okay, ease up. I understand why viewers might misinterpret what was going on there. After all, even though the show does have this awesome overhead 3-D map of the world that is sometimes relevant to what might be happening in each episode, the aerial vantage pretty much hits a wall at The Wall, and doesn’t go beyond. At the end of Season Two, the Other horde was approaching not the Wall, but the Fist of the First Men. The Fist was an old defensible position where Lord Commander Mormont had taken the ranging party of Night’s Watch brothers. It ended up being a rendezvous point for additional forces from the Shadow Tower (the grizzled Qhorin Halfhand and his men) and would serve as the Night’s Watch base of operations. 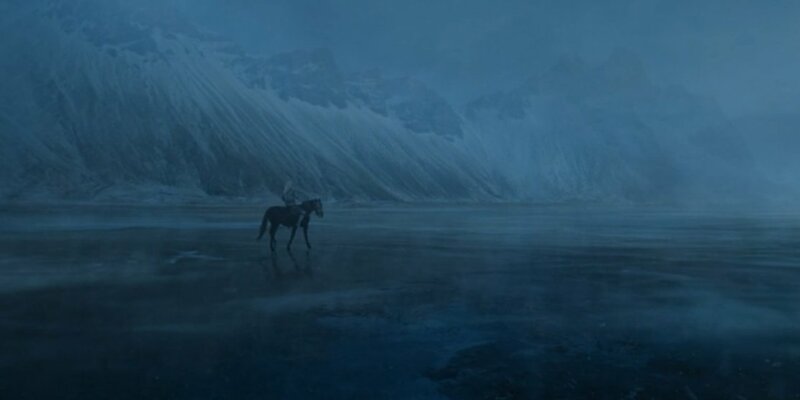 Edd, Grenn, and Sam were part of the Night’s Watch ranging which was bivouacing at the Fist, they witnessed the approaching horde, so there shouldn’t be any controversy about the horde’s location or destination. Season Three started off with Mormont and his men in retreat from a battle (yes, I would have liked to have seen that skirmish) so everyone should be able to fill in the gaps. The horde was not attacking the Wall. But why haven’t they been heading to the Wall? It’s a fair question. There’s still this feeling that the Others should be knocking on the door at Castle Black. 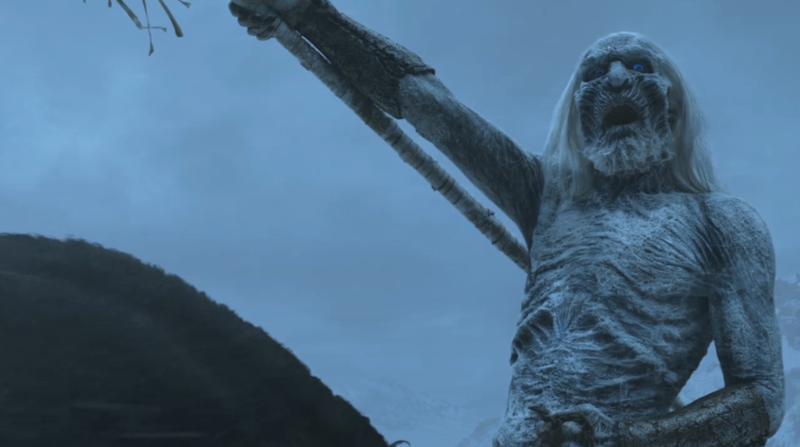 We’re seeing White Walker activity in Season Three and Four, along with the Wildling migration which appears to have been spurred on by the reawakening of the Others. Please forgive a brief recap of the far-northern actors and their interactions. Bran Stark hears stories from Old Nan about the frozen White Walkers, who come during the long winters to attack the lands of men. During an oathtaking ceremony, Night’s Watch soldiers recover the corpses of rangers, who aren’t showing signs of decay. The bodies are returned to Castle Black, one of which seeks out and attacks Lord Commander Mormont but is killed by Jon Snow and a judicious use of fire. 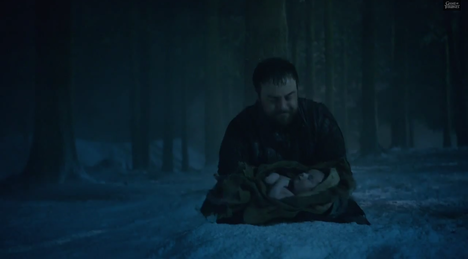 In Season Two, Jon Snow witnessed the collection of one of wildling Craster’s newborn sons by an Other. At the Fist of the First Men, rangers recover a cache of obsidian weaponry. Season Three starts with Sam being saved from a blue-eyed wight, first by Ghost the direwolf and then the retreating force of Mormont’s future-mutineers. Mance Rayder and an entourage tour the aftermath of the battle at the Fist of the First Men. 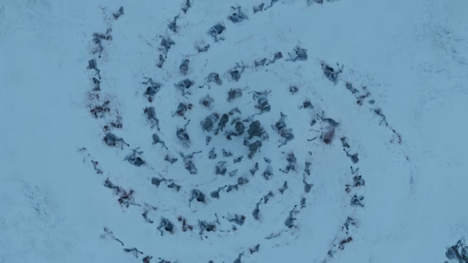 Mance notes the “artistic” display of horse corpses (reminiscent of the slaughtered Wildling bodies in Season One) and notes that the Others now have new recruits. During the mutiny at Craster’s keep, Sam flees with Craster’s wife Gilly and newborn son. The son would have been made an offering to the Others had Craster not been killed. Osha the Wildling recounts the tale of how her loving man went missing but returned to her as a murderous wight. An Other stalks Gilly and Sam, accompanied by a riotous murder of crows. (An ominous portent for a Night’s Watchmen?) Sam loses his sword to the icy grip of the Other, but destroys it by stabbing it with a dragonglass dagger. Sam the Slayer is born. In Season Four, the last son of Craster is born during the reign of the mutineers at the keep. Craster’s widows insist that the baby be offered up and Rast performs that task. 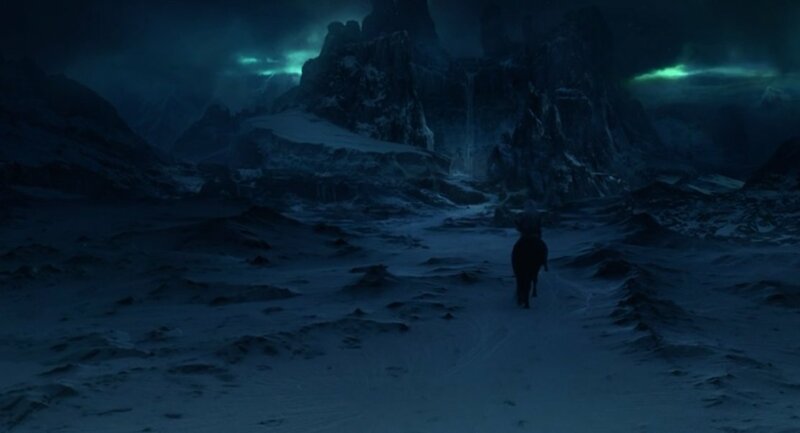 An Other takes the baby to a location viewers have called Otherton or the Fortress of Solitude, as a reference to Superman’s arctic stronghold. A horned and devilish looking Other touches the child, who is transformed into an unearthly inhuman infant. Bran Stark, who fled north from Winterfell’s burning by Bolton forces and following dreams, comes to an ancient and sacred weirwood tree, which houses his dream-communicating Three Eyed Raven (or rather, a one eyed old guy merged with tree roots.) They are nearly killed by a hostile force of wights, who are laid out in the ice around the weirwood’s cave like skeletal land mines. So, things are still happening with the Others, but there’s no movement of troops, no hint of a force planning to attack the south. Is that even a thing? Mance Rayder, when negotiating peace talks with Jon Snow, more or less laid it out on the line. The Wildlings had to get south, because winter is coming. The people of the Seven Kingdoms had a great big Wall to hide behind, and Mance planned on getting his people on the other side of the Wall, so they could hide too. Walls don’t keep out weather. (Well, actually they do. That’s why we have houses. But you know what I mean.) When Mance is talking about winter coming, I think it’s clear that he’s alluding to something else. Mance has gone on record that his tactic for getting the fractious and quarreling Wildling elements to unite behind him for a southern migration was this: he told them that they were all going to die, otherwise. Clearly, Free Folk and Thenns and Giants believed him. So, maybe the Others are coming, maybe they aren’t. But the Wildlings believe it to be so. Okay. BUT WHY HAVEN’T THEY BEEN HEADING TO THE WALL? Oh yeah, I didn’t really answer that above. We know that Mance Rayder’s Wildlings and the undead horde of the Others were near the Fist of the First Men at the same time. More or less. 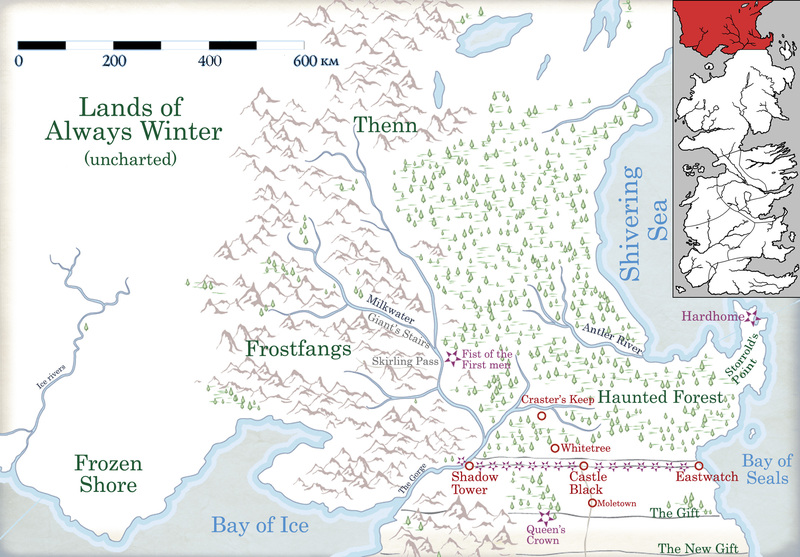 Checking out the handy map above, Qhorin, Jon, and the other red-shirt rangers went west from the Fist to scout out Mance’s position in the Frostfangs. 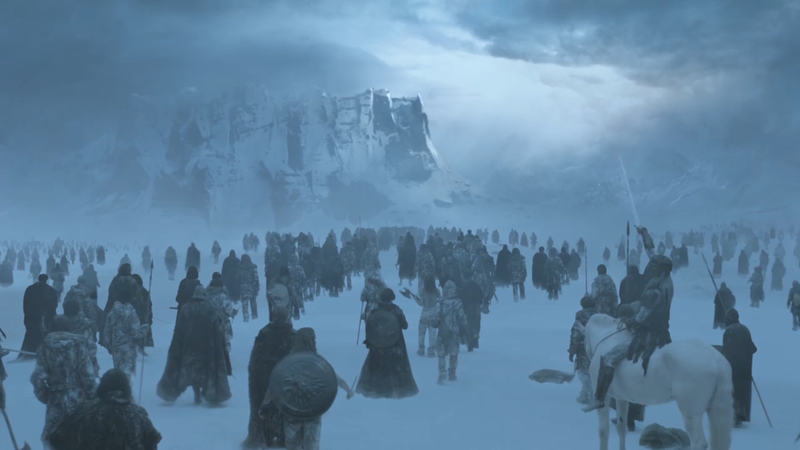 While they were away, the Others attacked the Night’s Watch encampment, killing around 90% of the rangers there. Shortly after, Mance and his people arrived on the scene. After that, Mance and the Wildling population casually ambled towards the Wall. To be fair, Mance was waiting on Tormund’s band of raiders to get past the Wall for a coordinated north/south assault. But one might assume the migrating barbarians couldn’t be moving too fast. With a head start, the Others should have been to the Wall first. So they must not be headed there. Just not yet. Mance expressed legitimate concern about the Others eventually attacking the Wildlings; they might have been able to directly attack the 300 crows at the Fist, but apparently they didn’t have the numbers (or inclination) to take on all of Wildlings at once. Perhaps, like Mance waiting for Tormund to be in position, the Others are also waiting. Waiting in the Wings? For What? Winter? Well yes. That would kind of be the logical conclusion. Not only are the Starks always yammering on about “Winter is Coming,” but Mance said as much to Jon Snow. Yes, I more or less mentioned the exact thing above, but apparently talking about winter has to be done over and over. So, when is winter coming, exactly? It’s hard to say, since seasons can last years. We just know that it’s not winter yet. Season One: they talk about it being a long summer. A long, long summer. Season Two: it’s still summer, but winter is coming, yo. Season Three: the small council gets a white raven from the Meterological Department of the Citadel (that’s Maester University, okay?) Those learned weather prognosticators agree: it’s now Autumn. Season Four: no ones mentions it being winter. It’s still coming. So, winter is still on the horizon, but at least it’s not summer. We’re one season closer. 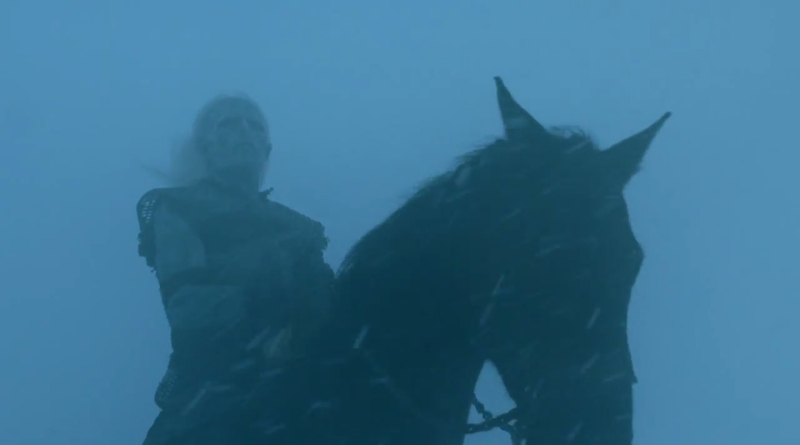 Why are the White Walkers, the Others, waiting for winter? 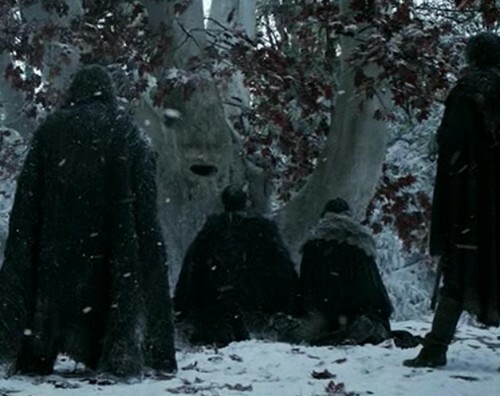 I don’t know, but Old Nan’s story to Bran specifically mentions them coming during a long, bad winter. Especially bad. So it’s not weird that they’re waiting. It would have been weird for them to be on the march during spring or summer. They’re active north of the Wall. Small bands of Wildlings are being killed and converted. They’ll respond to small armies of Night’s Watch rangers as well. But it’s not their time to fully commit on a run south, I suppose. But then again, no one knows for certain but the author and the show-runners. For all I know, they are lost and just aren’t asking for directions. I was happy that they showed what happened /happens to Craster’s son’s in the series when compared to my confusion while reading the books. Now after all this, I am more intrigued as to what and why and I am as lost as the Others. You and I were both happy! Just what the Others were doing with Craster’s sons had been suspected by book-readers, but it was good that the show confirmed it. The Others/Whitewalkers are scarier than the scariest. Brr….they give me the jitters. Let us see what they show in season 5! Brrrrr is right! I was fascinated and creeped out specifically when the baby was brought to the ice-henge altar. The one Other rider leaving the baby, and the other Others standing just out of our focus, until the horned White Walker “king” approached. Those guys are nightmares! Yes! Knowing how RUTHLESS our beloved GRRM can be gives us all the more shivers! He can give them – the Others – more power than 50 Drogons together!! The fact that they are organised….means they will have a strategy. Chills us to the bones! The overall passage of time in the books is weird, and long seasons really don’t help. I don’t know that I could say how much time has passed. Yeah, Martin is big on not giving good time references, other than “the Tournament of the False Spring” labels. I think at least two years have gone by in the books, certainly there was over 6 months in the first book, to get Dany along in her pregnancy. But it is hard to say for sure. I definitely feel like less time passed in books 1-3 than have passed in 4 seasons of TV show! If that sentence makes any sense.